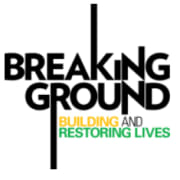 Breaking Ground’s mission is to strengthen individuals, families and communities by developing and sustaining exceptional supportive and affordable housing as well as programs for homeless and other vulnerable New Yorkers. At Breaking Ground, we believe that everyone deserves a home. That’s why, since 1990, we have been providing permanent affordable housing for individuals and families who are homeless or at risk of becoming homeless. Beginning with a single building, we are now New York City’s largest provider of supportive housing. We own and/or operate 23 properties with over 3,530 apartments in New York City and beyond. For chronically homeless people, we create safe, secure housing with essential on-site support services to help them address the psychosocial, mental, and physical health problems that are obstacles to independent living. For those at risk of homelessness, our affordable housing provides an all-important safety net. Our work has enabled more than 13,000 people to overcome or avoid homelessness since 1990, and we increase that number every single day. At the start of 2016, we have nearly 1,000 units of housing in various stages of development in the Bronx and Brooklyn, and are significantly expanding our Street to Home homelessness outreach program so that we can offer help to every single homeless person we meet. Breaking Ground accepts donations. Donate Now. Would you recommend Breaking Ground? There are many opportunities in this organization, for people who love to help. It's great! Thank you for the opportunities! Had a Blast; can not wait until the next event.